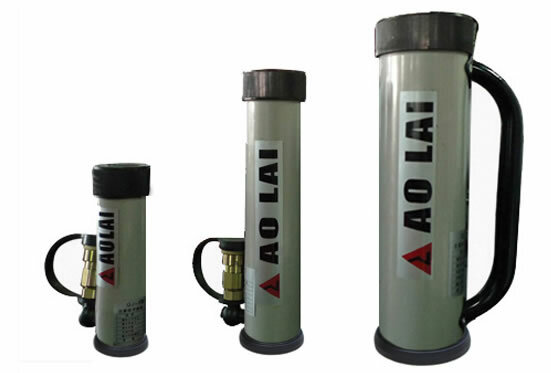 The hydraulic jack sets 5/10/20 is the special rescue equipment with three types of A, B and C. The power source for the equipment is hand pump A. With the action of hydraulic pressure, the piston rod extends out to lift the loads and enlarge the working space to save the victims conveniently. 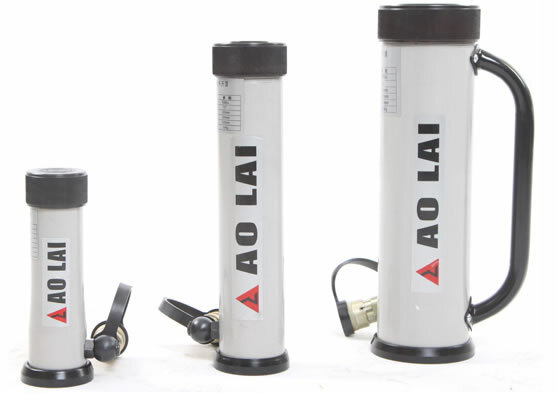 Description 1.Function: The hydraulic jack set driven by hydraulic hand pump could extend the piston rod to hold certain weight under the hydraulic pressure. There are four pieces of jacks for each hydraulic jack set, which is used to hold the heavy things to protect the victim. 2. Application: This device is a useful tool for doing rescuing work in traffic accident, earthquake disaster, etc. Instructions 1. The supporting point which is used to fix the jack should be firm enough to support the loads in order to avoid the hurt again during the rescuing work. 2. Double sets of jacks can prevent the heavy objects from slipping while extending. 3. It is better to choose the rough surface as the top supporting surface instead of the incline plane or the smooth surface. 4. When the jacks tilt, axes should be perpendicular to the supporting surface to prevent sliding. 5. The only power source for jacks is the handle pump. 6. Make sure that the jack has tightly connected with the handle pump before rescuing. 7. Open the hand valve of handle pump only after all the rescue operations have been done. 1. To avoid the stress point of heavy object falling apart causing secondary injuries, the operator should find the proper stress point and make sure the supporting surface of the heavy object is firm enough to stand up the lifting force. Meanwhile, the operator should keep an eye on the heavy object to avoid the slippage. 2. When doing the lifting job, the slanted surface and the smooth surface would cause slippage easily. So the operator should choose the horizontal surface or the rough surface as the supporting surface as much as possible. 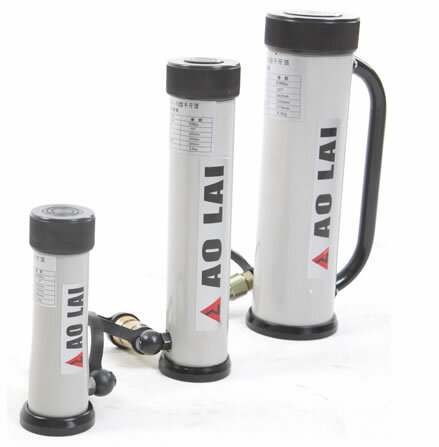 If there is need to use the hydraulic jack ram sets with slant, please make sure the axis of the lifting force perpendicular to the supporting surface. The separable pedestal should be set stably to avoid slippage. 3. Only hand pump A can be allowed to connect to the equipment. 4. 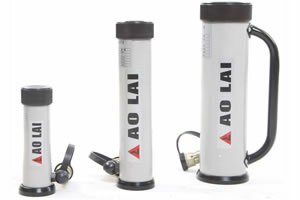 The hydraulic cylinder is single-action, so only oil pipeline of hand pump A with male thread can be allowed to connect to it. 5. The connection between the hydraulic jack sets and hand pump A should be tight enough before working. 6. Only after all the rescue operation has been done can the hand control valve of the hand pump A be opened. 7. You should stop using the equipment immediately when finding it working abnormally and contact with our company about the maintenance. The users are not allowed to disassemble the equipment without permission. Otherwise the tool would be damaged or the injuries would be caused. 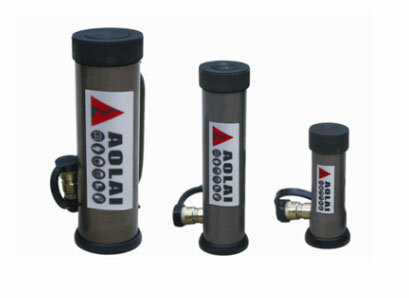 Rescue Group is a specialized hydraulic jack sets manufacturer based in China. Our company also supplies hydraulic cutter, battery combination, hydraulic rescue tools, concrete heavy rescue equipment, and much more.